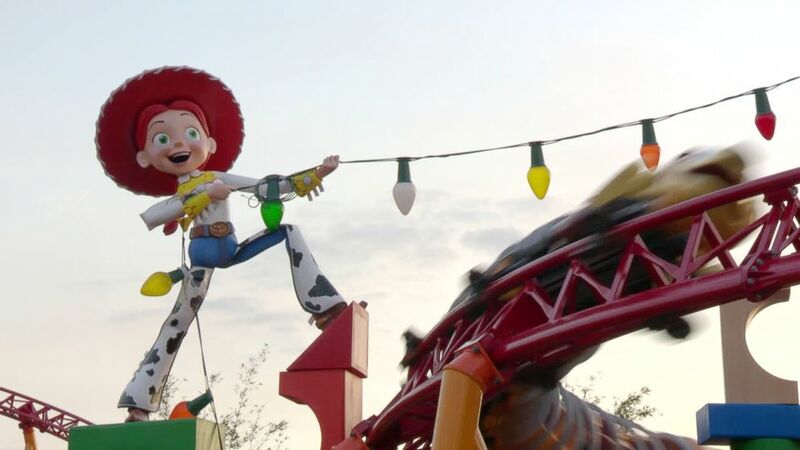 Toy Story Land at Disney's Hollywood Studios opens June 30 and "Good Morning America" has taken a ride on the two brand-new attractions. Slinky Dog Dash dashes is seen by a giant Jesse doll. 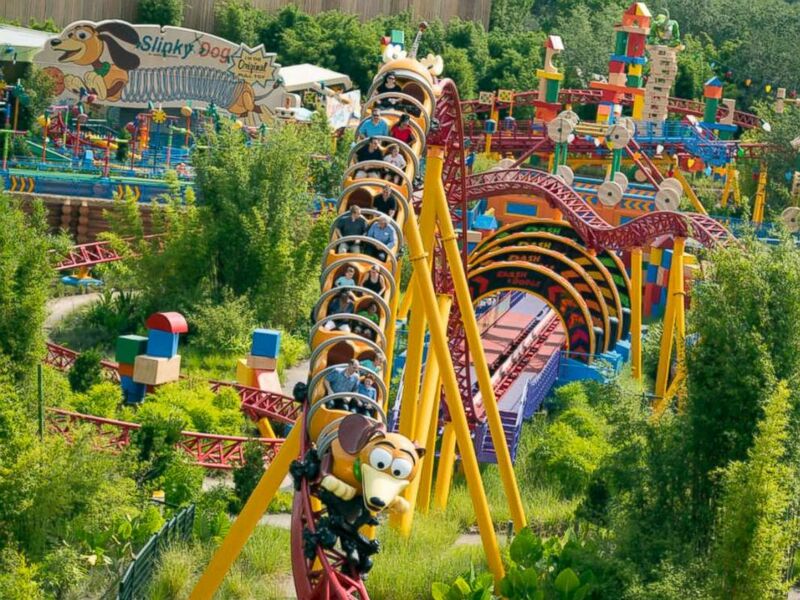 The first is Slinky Dog Dash, a family-friendly roller coaster inspired by Andy's toy, Slink. The attraction features a coaster track that Andy has built all over his backyard using his Mega Coaster Play Kit and other toys. A rider has views of all of Toy Story Land. 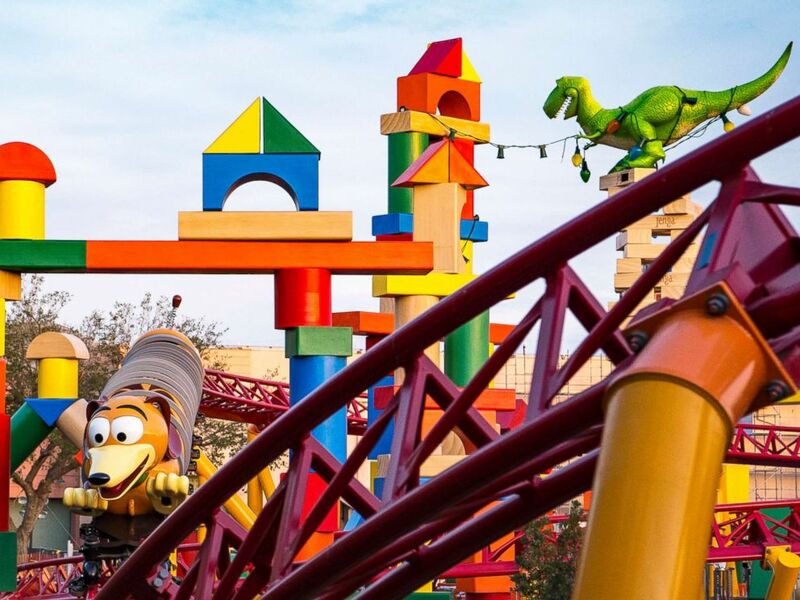 Slinky Dig Dash is the new roller coaster at Toy Story Land at Walt Disney World. Slinky Dog Dash ride at Walt Disney World Resorts. After a series of dips, twists and turns, Slinky Dog Dash riders end the adventure with a serenade of "You've Got a Friend in Me" from Wheezy. The penguin who was once pushed to the back of the shelf takes a top spot. 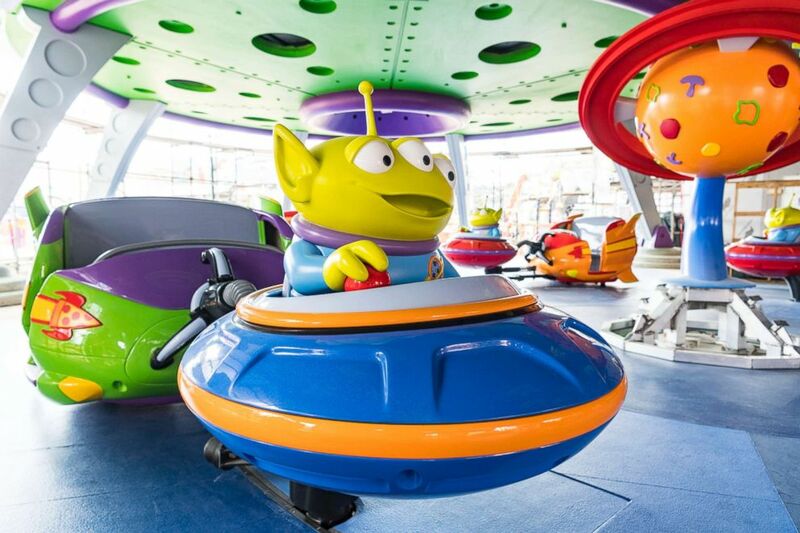 The second new attraction in Toy Story Land is Alien Swirling Saucers, designed as a toy play set that Andy got from Pizza Planet. Aliens are flying around in their toy flying saucers and trying to capture your rocket toy vehicle with “The Claw.” It's a dizzying ride fit for the whole family. A close up of the ride the Alien Saucer Swirl. Toy Story Land is the largest expansion in the theme park’s history. Next year will see the premiere of the all-new, 14-acre Star Wars: Galaxy’s Edge. Also coming in 2019 is Mickey & Minnie’s Runaway Railway, the first Mickey-themed attraction in Disney Parks history.